this week, as those of us in certain corners of the world see the wintery gray of february looming before us, i think bringing in a little color might brighten things up a bit. 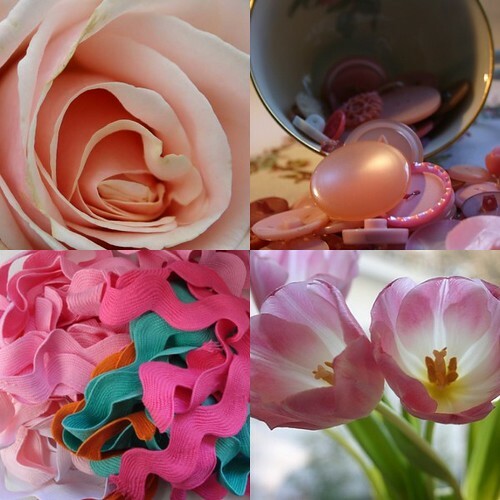 last week, i mentioned being inspired by pink (well, a little bundle of goodness is joining us in a few months, so i have it on the brain) and gathered some flickr favorites together in this post, which all leads to me to this: a week of pink. during the next few days, i will probably focus on photos that capture snippets of this color...photos i will take this week and photos in my archives. but i also think it would be fun to write using "pink" as the prompt or even create something with a little pink (perhaps the paints and a canvas will make an appearance on the kitchen table...). if you do decide to play along in this week of pink, through your stories or photos or poems or lists, even if just for one day, please do let me know in the comments.